Nowadays, it is hard to think that you can get cheap smart TV for under $300. However, with the rising popularity of smart technology, smart TV becomes more common (and thus affordable). Some high-quality smart TV sets cost you more than $500 or even $1,000. However, if you look for decent quality with a bargain price, many products cost less than $300. 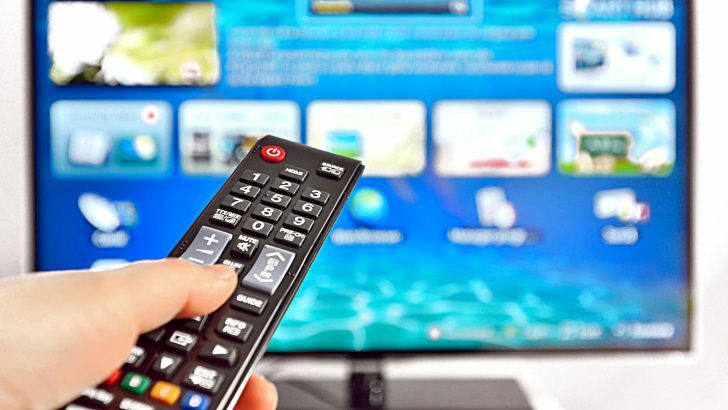 The year 2019 sees the coming of numerous affordable smart TV sets with bargain price tags. Here are five products that worth your considerations. This Sceptre TV product has been around since 2017, but it is still a good option for bargain product in 2019. This cheap smart TV offers great value for large screen experience. This stunning set of TVs is a perfect product if you want to enjoy an impressive visual without breaking the bank. With high contrast of 25,000:1, Sceptre offers sharp visual that makes every scene on the screen looks amazing. Sceptre has a feature called Motion Estimation and Motion Compensation (MEMC). It creates a smooth transition between frames so you can enjoy more seamless movements on screen. It has HDMI and USB ports, with built-in speaker and Energy Star certification. TLC has made several cheap smart TV sets with decent features, and this product is a great bargain. It uses Roku TV to deliver more than 500,000 contents from popular apps, including Netflix, Hulu, and YouTube. The screen has 4K, ultra HD definition screen, which creates crisp and smart images that look impressive behind the bargain price. Unlike many smart TVs, this TV set has Ethernet and wireless as a built-in system instead of Wi-Fi. However, it has three HDMI ports to create the best home theater set within your budget. This Toshiba smart TV offers 4K images with more than 8 million pixels, creating crisp and vivid images. 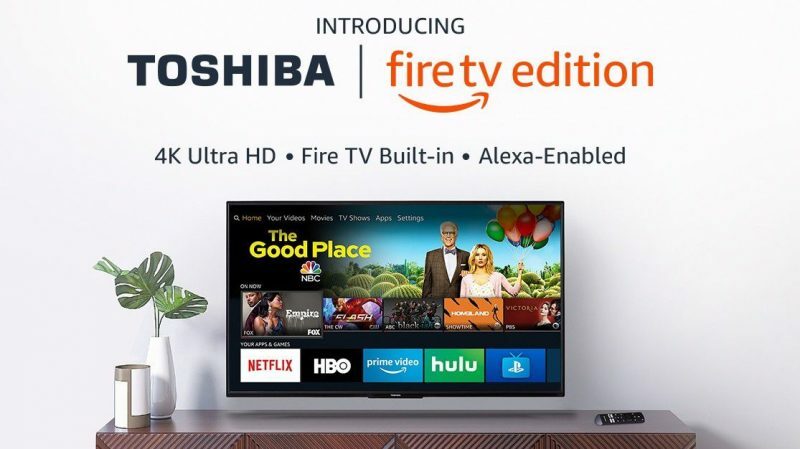 It has built-in Fire TV that delivers various contents from Amazon Prime, HBO, Hulu, and Netflix. Fire TV also has integrated live TV, but this function requires a separate antenna. The search function is supported by the quad-core/multi-core CPU, making it faster. The best thing about this cheap smart TV is the ability to connect with your smart home devices. From door locks to baby monitors, you can control everything from your seating place. There is also an integrated voice command that is connected to Alexa. You can search for contents, control TV and smart home functions, or look for restaurants using voice commands. Need something more suitable for a smaller household? This cheap smart TV is your option. With just a 40-inch screen, TCL 40S325 is the best option for small living room or bedroom. Roku TV gives more than 500,000 contents from popular providers and channels. Enjoy everything on 1080p HDR screen that provides clear, crisp images. 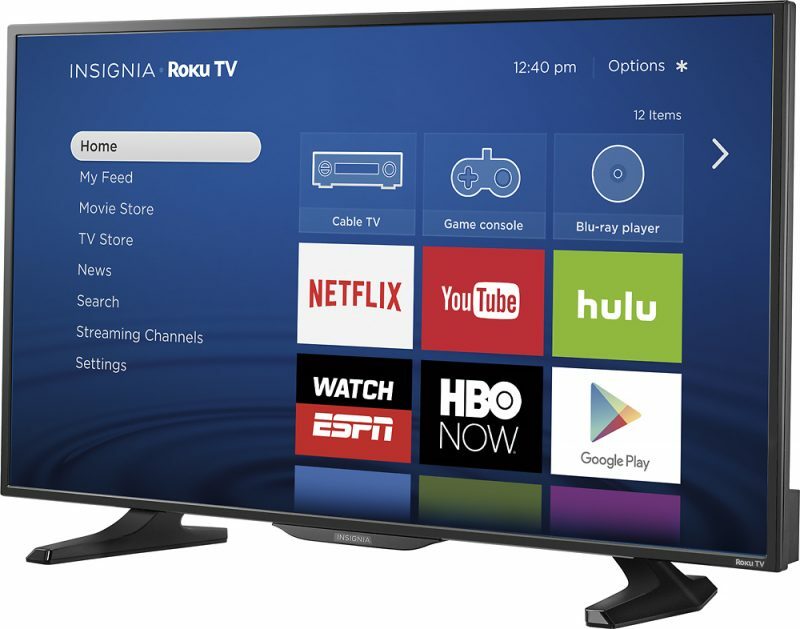 This cheap smart TV is perfect for a single person or couple in their first homes. The 39-inch screen delivers crisp HD images with 1080 pixels. The installed Fire TV delivers online contents and lives TV shows seamlessly. You can access contents from Amazon Prime, Netflix, Hulu, and many more. The TV is also compatible with Alexa, giving you the ability to control features using voice commands. Insignia also allows you to control smart home functions, such as door locks, lamps, and baby monitors. Alexa compatibility also allows you to ask for restaurants, weather, and other information using voice commands. Built-in Wi-Fi and Ethernet are supported by Quad Core/Multi-Core processor, making activities like searching and watching contents seamlessly. Can You Play Games with Cheap Smart TV? Cheap smart TV is often associated with bad gaming visuals. However, some cheap brands give an adequate performance to satisfy gamers. 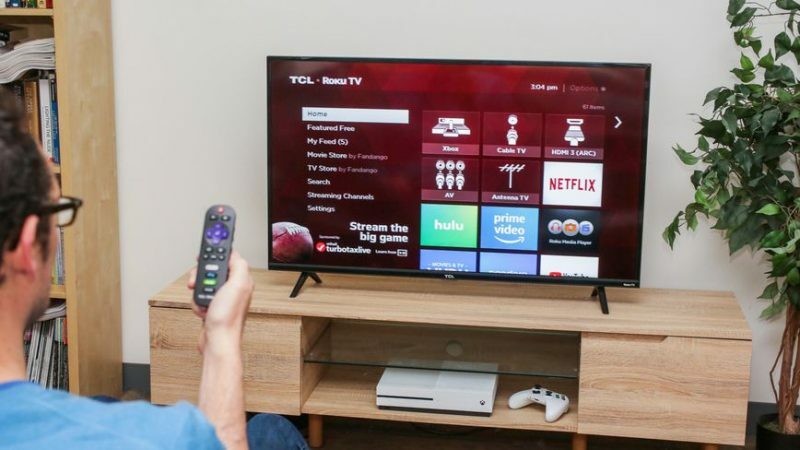 TCL 43S305 (43-inch) is among the best cheap television sets for gaming. 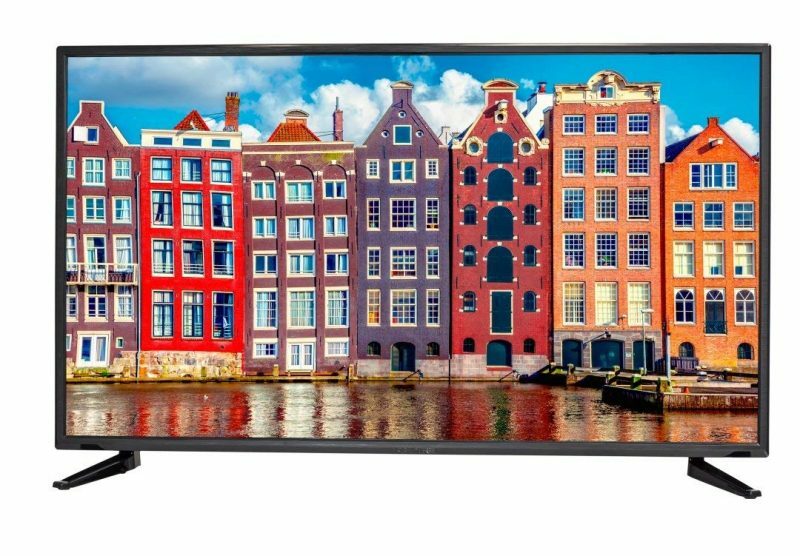 Released in 2017, this TV offers 1080p HD images, with a refresh rate of 60hz. This creates seamless frame transitions within the range of 60 FPS. The mid-range saturation helps you catching good details form the game. This cheap smart TV also offers enough contents to satisfy your needs for movies and TV shows. There are about 450,000 contents from Netflix, Hulu, HBO, VUDU, and various news, entertainment, and sports channels. With simple remote navigation and mobile app compatibility, this TV is a perfect option to play games and enjoy contents. Everything is available with a price range that starts from $199.99. Many smart television sets offer good features with bargain prices. From small TV to affordable gaming set, these cheap smart TV products are great bargains for your budget.